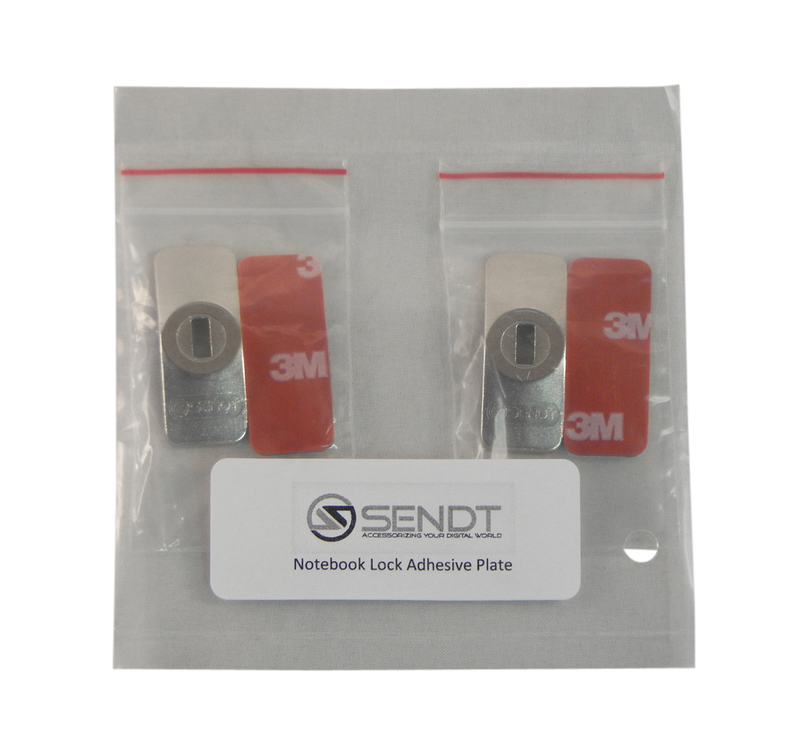 - Kit contains 2 security plates and 5 adhesive strips. 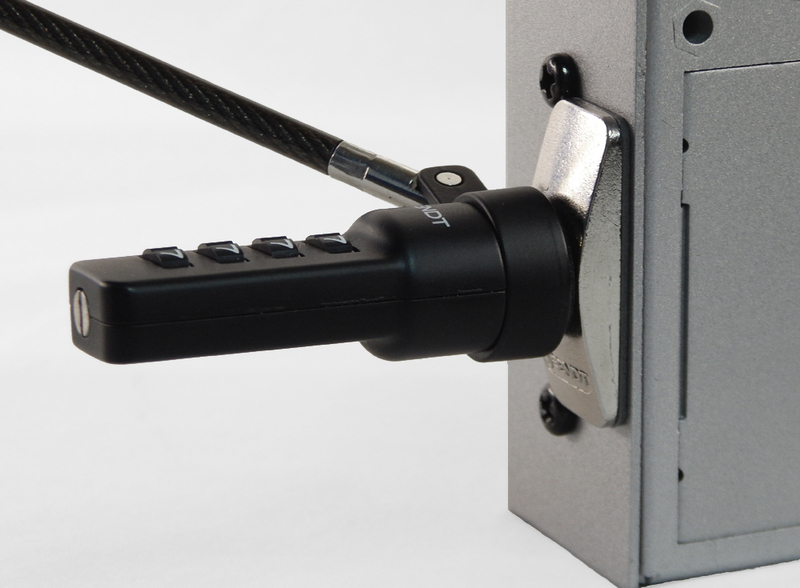 - Each plate's Kensington-compatible security slot, works great with Sendt Notebook / Laptop Locks. 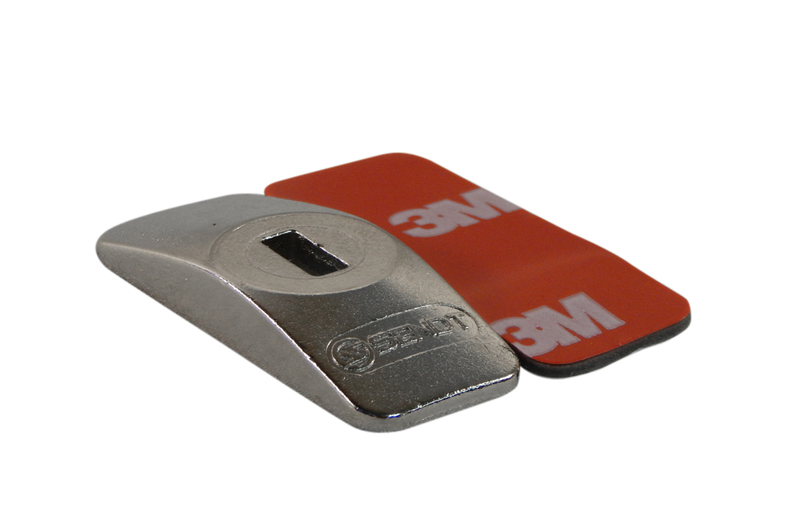 - Plates and strips each measure 37.5 mm by 15 mm (1.5" by .625"): Ideal for securing smaller devices with minimal flat surface areas. - Sendt one year warranty! 1. Make sure the surface of the device you want to secure is clean and smooth. 2. Peel the protective film from either side of the adhesive strip, and press the exposed adhesive to the device you want to secure. 3. Carefully remove the second protective film from the adhesive strip without removing the strip from the device. 4. Press the security plate firmly onto the exposed adhesive and allow the adhesive 30 minutes to set. Your Sendt Security Plate is ready to use! Follow any directions that are included with your lock.